It has been an extremely demanding weekend/week. I had planned to post this on Saturday, but I ended up spending the entire day baking for a Traffic Jam bake sale. It was quite the experience as I still haven't found a replacement for my teflon pans. I got a tip from a friend about using the silver cupcake liners by themselves which was awesome- but then I didn't have my debit card so I couldn't buy them (long story). I ended up baking them just a few at a time in ramekins (it worked!) but it took all day. Then Sunday was an entire Sargent Avenue day, the guys headlined Traffic Jam Fest in Rosa Park, Grand Rapids for Art Prize and Katie, Kathy and I ran the bake sale. We got home around 1:30 am and poor John had to leave again just after 5 am this morning. Today was a mix of beginnings and endings... I started my new job and my niece learned to crawl, but a friend of John's, who he really admired and esteemed, passed away. What a wonderful woman she was. I've never heard anyone speak a word against her, but the loving stories have been innumerable. She left such an impression on her city, and her absence is already felt. Many thoughts and prayers go out to her family, from all who knew her. And as a stranger remarked to John today, "you can't live in Lowell and not know Chris West". 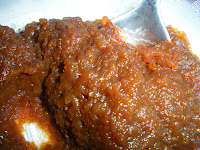 The pumpkin apple butter was so easy- it was really similar to my previous post about homemade applesauce. First, peel the apples. This was the worst part. I don't love peeling apples. After that, it's a breeze. 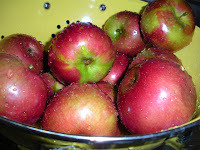 I sliced the apples and then used my Pampered Chef food chopper to finely chop them. You can chop them by hand, that was just mucchhhhh easier. 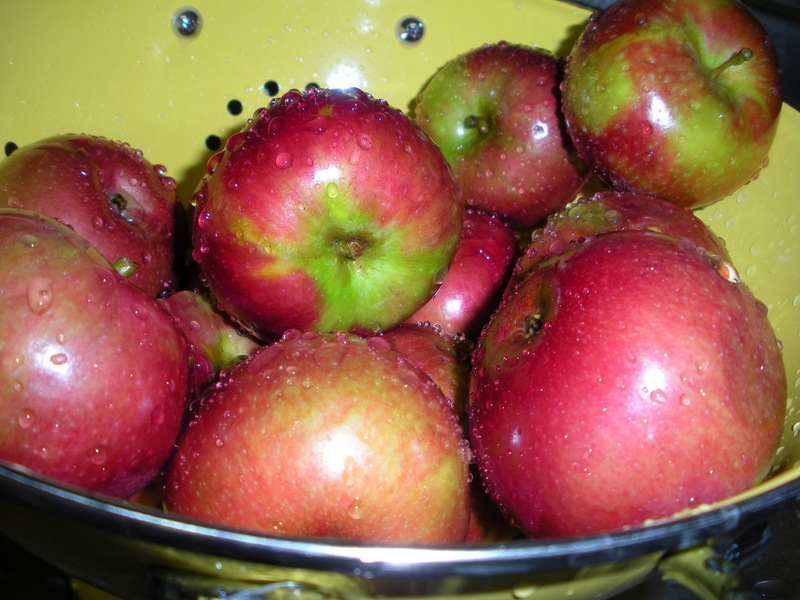 Next, throw the apples and all of the other ingredients into your slow cooker. Mix everything really well. Turn it on high for 2 hours (stirring every 30-45 minutes) and then down to low, stirring every hour, for another 5-7 hours. It'll be very thick when it's done and slightly lumpy, but not chunky. If you notice that it seems like it's burning or getting too dry, you can add more liquid- a tablespoon or so at a time. So, it's a very easy process and quite rewarding. 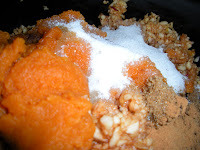 This is one of my favorite treats, which I have been known to plead with my mom to make. She's been so great to give me multiple batches each fall, but it was time for me to learn it myself. It was awesome because I didn't even need a recipe. Thanks, mom! Pumpkin apple butter was made for toast and biscuits, but try it on a toasted turkey sandwich (with brie! 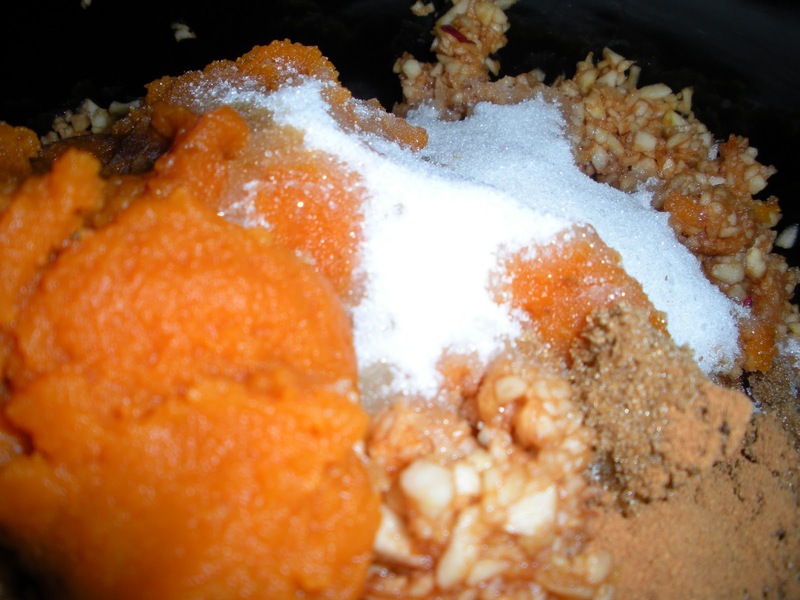 ), mixed into oatmeal or cottage cheese or many other various ways. It will not disappoint you. Enjoy! Remember to hug your loved ones today. Every day we get to spend with the people closest to us is such a blessing.